Travelling home days are usual sad, dull affairs, but not this one! Ive got to let it out! I went to Hooters today! Woohoo! I know this may be a bit premature (probably a side effect of visiting Hooters), but I just couldnt wait until later in the report. We get up and complete the tiresome task of packing. The suitcases are safely tucked away in the car and then we walk around the back of the North wing of the Contemporary to have a look around. I can understand why people like to stay in these rooms; the view over Bay Lake is spectacular and very peaceful. Matt drives us to Downtown Disney check-in at the Virgin desk. There is no one else around and the whole process takes just a few minutes. We are told that the flight is not all that full tonight and we have 2 rows of 3 between the 4 of us. The ladies have still not had their fill of shopping, so an hour is spent scouring the shops. I cant really blame them, I havent had my fill of drinking. Deb and Matt have not been to the Port Orleans resort before, so we jump on the ferryboat for a very nice relaxing ride. We pass the treetop villas, which have not been used for a couple of years and they are looking rather neglected Im afraid. There are even some blown over trees lying against some of them. This is a real shame as Ive always fancied staying here. It must seem very remote and quiet. We get off the boat at Port Orleans French Quarter and take a look around. Deb and Matt are quite taken with the place. It is much quieter and more relaxed than many other resorts. 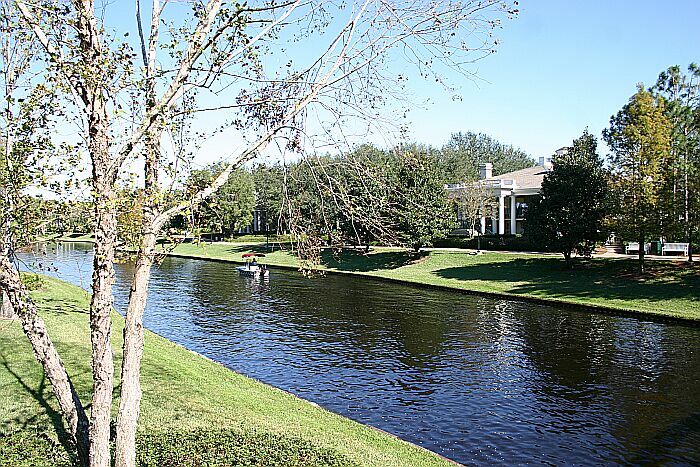 We stroll along the riverbank to Port Orleans Riverside and look around here for a while. Its probably my favourite moderate, very spacious, pretty and relaxing. Another pleasant boat ride and we are back at Downtown Disney. Matt drives across to the West Side and some more shopping takes place at the Virgin Megastore. I take the time to walk across to the lakeside and enjoy the sunshine, staring across at Saratoga Springs. An anhinga is sunning itself on some rocks beside the water and I spend a few minutes watching it. It really is a strange looking bird. (Unlike the ladies at Hooters). Its gone past lunchtime now and Matt wants to go to Hooters to get a T shirt for a friend. Obviously I make my objection to such a plan known. How could we possibly want to go to an establishment full of scantily clad women? We eventually find the place, which is just next door to the Crossroads. Matt parks up and we enter the wonderland that is Hooters. The servers are all young women dressed in very short orange hot pants and small tops. (The clothing, not the women). Me and Matt are like kids in a toy shop. Our server comes up and asks if wed like a beer. Beer? You have beer too? What a place! Would you like a 22oz? Yes please! We then order food! My lord is there no end to the delights to be enjoyed in this fine establishment? I have to say that after all the fine dining experiences of the last few days, it is something of a pleasure to enjoy a lunch of chicken wings and beer. There is a football game being shown on multiple screens around the place. Can you get Annual Passes to this place? Can we park hop? The Magic Kingdom, Epcot and Hooters. Now theres a fine days entertainment. Both Matt and I buy a T shirt, under the pitying gaze of Tam and Deb. Matt also buys a calendar, which all the Hooters girls line up to sign. All too soon it is time to leave and head back to the airport. I glance back through the rear window of the car as we drive away, wiping a small tear from my eye. At the airport the car is returned to Dollar with ease and we decide to spend our remaining time relaxing in the lounge at the Hyatt. A lady approaches and asks what we would like to drink. She may not be in quite the same category as the Hooters girls, but she looks attractive enough to me as she returns with the beer. The flight leaves on time and we do indeed have an empty seat beside us. This allows an extra bit of room. A combination of more room and the beer enables me to actually sleep on a flight for just about the first time. I think I manage to get at least 4 hours. The rest is just driving home and saying farewell to Deb and Matt. It is probably the best last day of any holiday to Florida that Ive ever had. At least as good as any day can be when you are leaving Florida. So, what did I think of our holiday overall? The weather  It was above seasonal average for our cruise, with glorious sunshine most of the time. Back in Orlando things were cooler with a rather chilly North wind at times. Overall I would have to say we did rather well. It would have been much worse to be cold on the cruise. The Contemporary  I must say that I enjoyed it more than I expected. 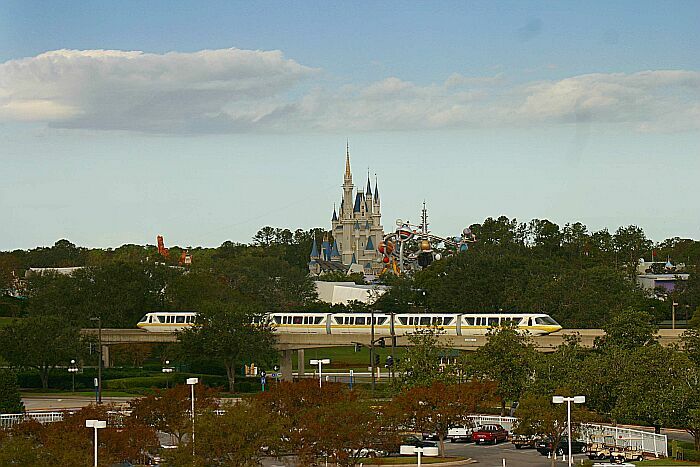 The position is excellent if you want to enjoy the Magic Kingdom and the monorail is a nice way of getting to Epcot. The décor in the rooms is not to my taste, but the view from our window was lovely. I dont think I would rush to book here again, but then again, if the right deal came up I would not turn it down either. The grand villa  I dont suppose we will ever stay in a grand villa again unless we get an amazing slice of luck or share it with other DVC members. 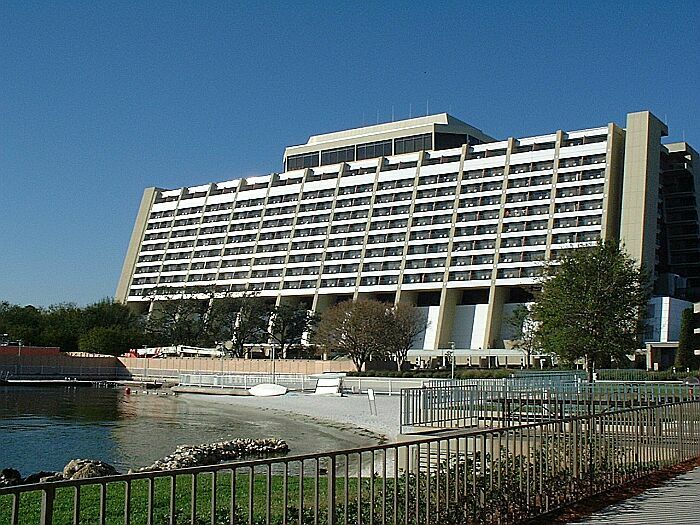 Its wonderful to have all that space, the balcony is huge and the views over the lake to Epcot cannot be beaten. Our friends  Our time with Mandy and Mark was great. It is so much fun to share your experiences with other people. Meeting up in the evening on the cruise to dine and talk about the days events was a very nice way of rounding off the day. Finally, a very big thank you to Deb and Matt. We were in each others company for some 12 days. This is hard enough with family let alone friends, yet we got on so well that Deb is busy plotting a reunion next year. Tam and Deb can go off on the cruise and Matt an I will stay in Hooters for 4 days. Did I mention we went to Hooters? As a footnote - I must give credit to Matt who took some of the photos I've used in this report, although I can't remember which ones! As a rule of thumb, if the pictures are good, they're Matt's. If not, they're mine.